Out of twelve NGOs that it asked to publicize the budgets of their ongoing projects, only one (Oxfam GB) complied. USAID informed me that it needed the consent of the NGOs to release this data as it might contain “confidential commercial information,” thereby closing the opacity loop: first NGOs had blamed donors for not being able to release budgets, and now the biggest donor was passing the buck back to NGOs. 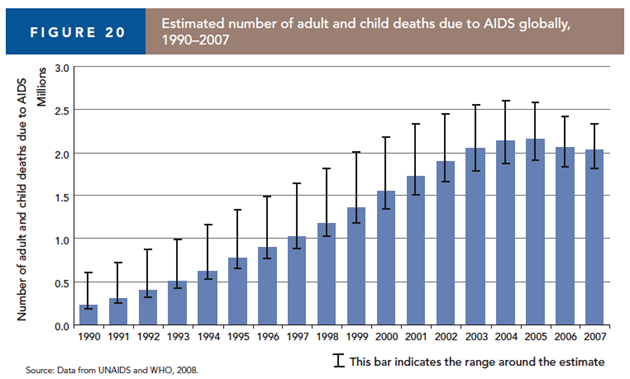 The growth in U.S. funding, which underwrites nearly half the world’s AIDS relief, has slowed dramatically. At the same time, the number of people requiring treatment has skyrocketed. Some 33. 4 million people worldwide have HIV, and under new guidelines by the World Health Organization, the number eligible for treatment has grown to 14 million, dwarfing the 4 million in treatment currently. Another 2.7 million people become infected each year. 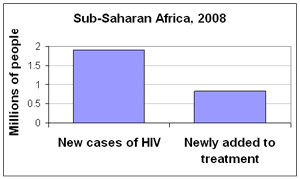 The therapy, which doesn’t cure AIDS but allows people with HIV to live normal lives, means the number of people who need drugs will continue to grow. How did this enormous tragedy occur? Perhaps because the global health community concentrated on AIDS treatment and neglected prevention (which they never figured out how to do). the benefits of debt relief over the next few years, however done, will be tiny. How to square this with the enormity of $1.25 billion? Most of Haiti’s debt is not due for a long time. 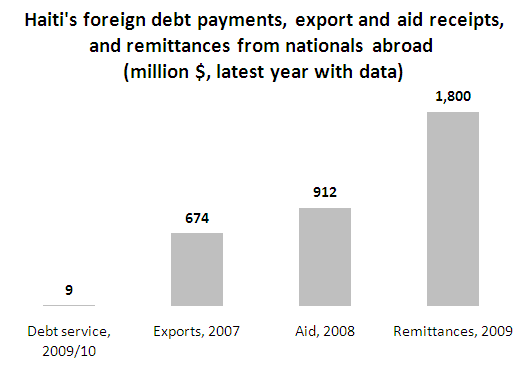 So a typical dollar written off today might not help Haiti (by lowering debt service) for a decade. That’s why cancellation does little good in the short run. It is not a coherent response to crisis.